Why Choose the CPC Certification? This medical coding training program is for individuals who are interested in becoming a Certified Professional Coder (CPC) through the American Academy of Professional Coders (AAPC). The CPC is the most recognized and sought after coding credential in the professional coding community. Individuals who wish to begin a career as a medical coder must obtain either the CPC or the CCS in order to be recognized among employers. While the CCS is also highly recognized and sought after there are several reasons beginners should obtain the CPC credential first. It is easier to gain experience as a CPC because private practices are not as restricted as facilities are in regards to hiring policies. The CCS exam strongly encourages examinees to have prior experience prior to sitting for their examination while the CPC exam does not. This is because the CCS exam is more difficult to pass because it was created for experienced coders. The CPC exam is less of an investment; AAPC fees for the exam are less than AHIMA's fees and provide CPC examinees with a free re-take if they are unsuccessful in their first attempt. AHIMA allows CCS examinees only one attempt and re-takes must pay the full exam fees again. The length of a well rounded medical coding training course should be no shorter than 20 weeks. 5-6 month courses, (around 20 weeks) provide students with a consistent portion of instruction and practice work on a weekly basis. Taking this approach teaches the information in a logical, time appropriate pattern, and helps to enforce the knowldge in a methodocal way which also helps students commit the material to memory. Many individuals prefer the flexibility and comfort of taking an online class from their own home. When selecting an online course it important to remember that all course are not created equal. Some online courses offer computer simulated instruction modules, and for some subjects this works well. Coding is not one of those subjects though. Coding is a "gray" world and often answers are not straight forward. Becoming familiar with the coding books and learning the coding guidelines usually accompany many questions and require an available human instructor. 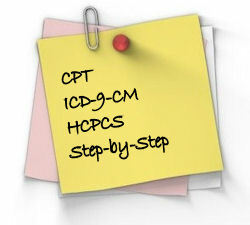 If pursuing a CPC credential online we suggest the AAPC's online medical coding course. For those who are pursuing the CPC credential, and who are interrested in a medical coding course in a classroom setting, we suggest looking for a CPC-I in your area. A CPC-I can be located by state at the AAPC's website. A medical coding training course that is designed specifically to prepare individuals for the CPC exam through the AAPC should cover specific material. Knowing the structure of the CPC exam allows individuals to understand the type of material a medical coding course should offer. The CPC Exam is extensive and tests individuals over a wide range of topics for almost 6 hours. The CPC exam integrates all of these subjects and divides them into the exam, testing on how extensive the examinee's knowledge is in each area. The CPC exam is a five hours and forty minute exam with 150 multiple choice questions. Section I is designated 60 quesitons that are focused on CPT, National Level I codes. Section II is designated 47 questions that are also focused on CPT, National Level I codes. This exam blue print indicates that 71% of the CPC exam is focused on the CPT, National Level I codes. By knowing that almost 3/4 of the CPC Exam is focused on the CPT manual you should be able to deduce that a good medical coding trainging program will focus the majority of it's time on learning the CPT as well. In addition to proper instruction, a good medical coding training course should also include lots of practice work, provide multiple timed examinations, and assist student through the membership and exam application process. 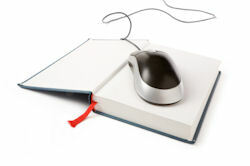 Medical coding courses may also require students to purchase a text book as well. One very commonly used text book is "Step-by-Step to Medical Coding" by Carol Buck. The AAPC also has rules regarding which editions are and are not allowed for exam use. For a list of the AAPC's book restrictions for the CPC Exam please click here and go to the "Approved Mauals" tab. Many individuals are drawn to the medical coding field because it offers an opportunity for individuals to work from home. While these jobs do exist they cannot be obtained immediately after earning your cetification. It is important for those who are interrested in coding from home to know what will be expected of them and how to prepare in advance. We ask those who are aspiring to code from home to carefully read our Coding Careers page prior to investing in our medical coding online training program. "Professional Coding" is used to describe the type of coding being performed. "Facility Coding" is coding performed in in-patient settings, such as hospitals. A professional coder should obtain a CPC credential through the AAPC while a facility coder should obtain a CCS credential from AHIMA. When looking into a medical coding course make sure to ask a lot of questions before signing up. Also, don't pay for a lot of unnecessary classes. You don't need to get an associate degree to become certified. A typical course can run about 6 months and cost around $1,500.00.